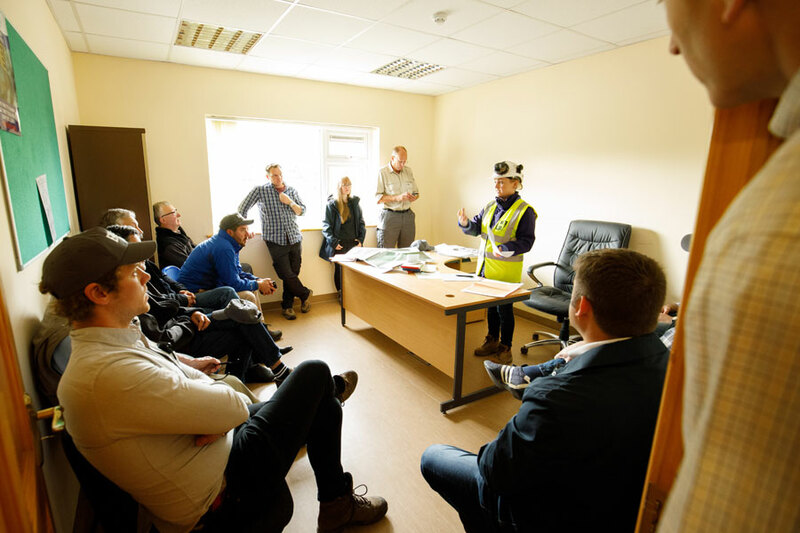 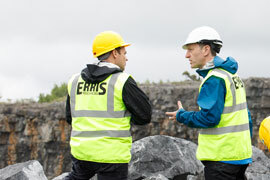 Erris Resources holds six licence areas covering an area of 159km2, which comprise the Abbeytown Project, in County Sligo. 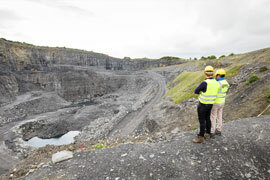 The area is a proven mineral district, centred on the old lead-silver mine of Abbeytown. 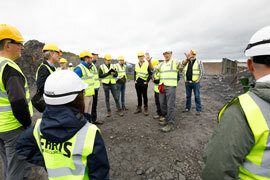 Abbeytown is a brownfields exploration project with underground access and evidence of mineralisation extending southwards from the historic workings. 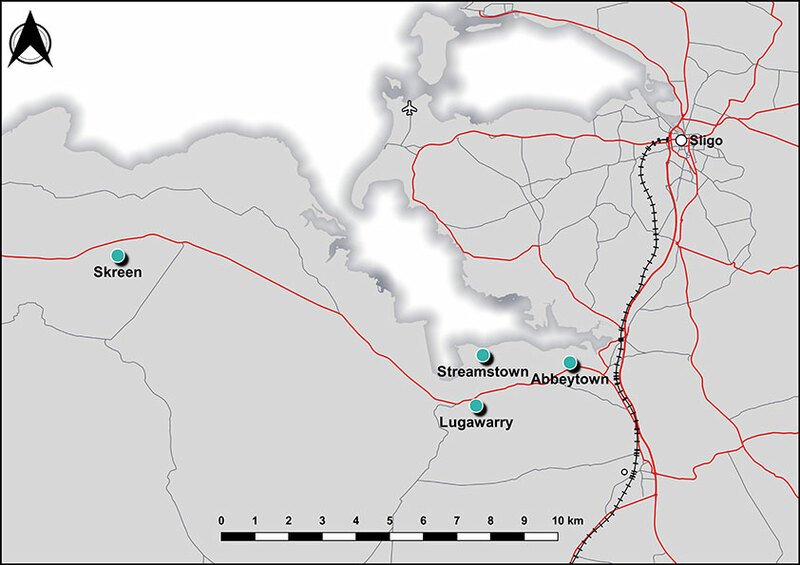 In addition, there is regional exploration potential at Skreen, Lugawarry, and Streamstown, all within 15km of Abbeytown. 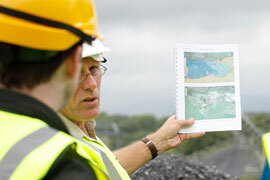 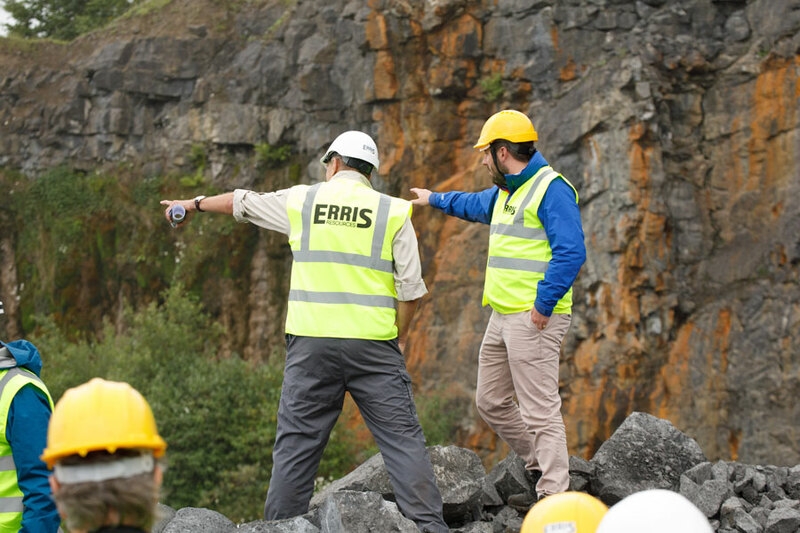 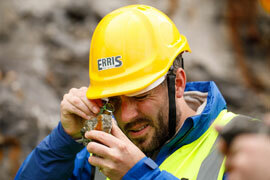 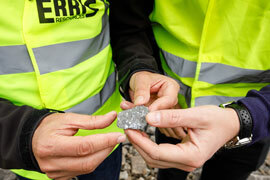 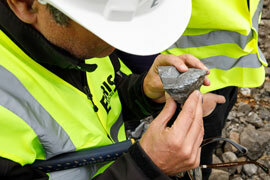 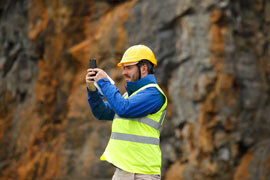 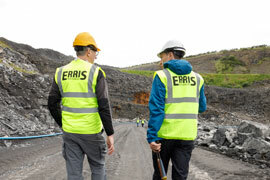 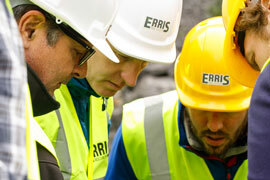 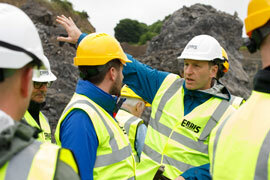 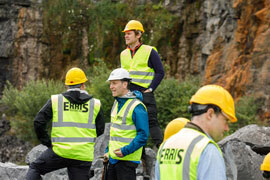 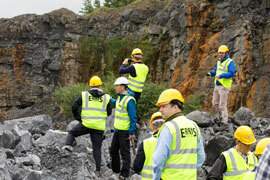 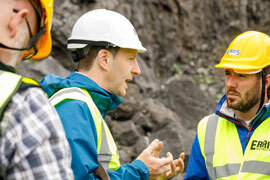 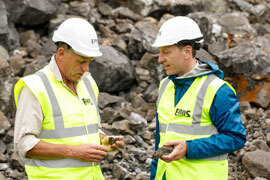 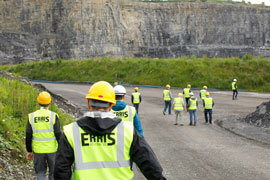 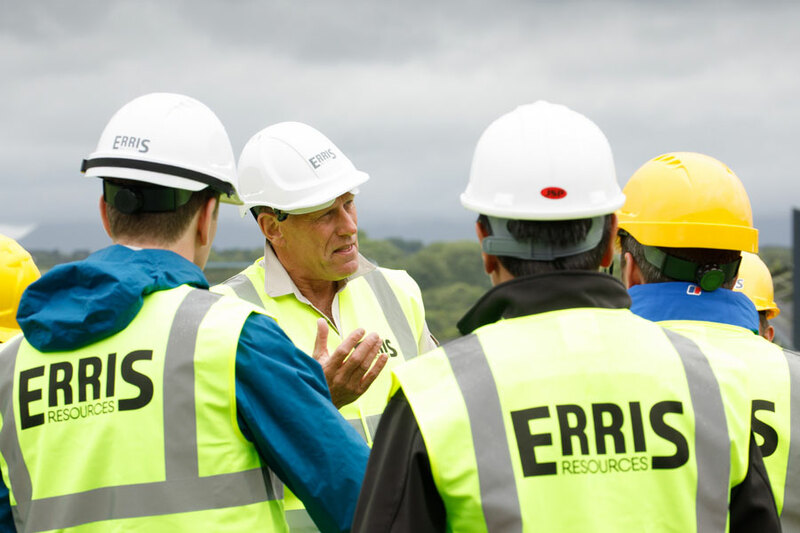 Erris Resources has reinterpreted and synthesised old and new geological, geophysical and geochemical data. 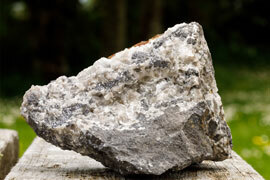 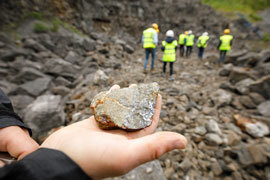 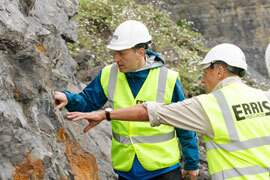 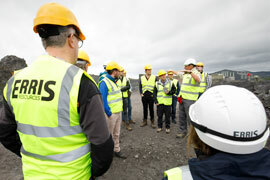 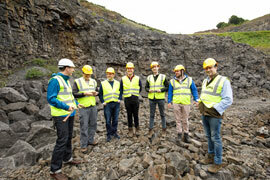 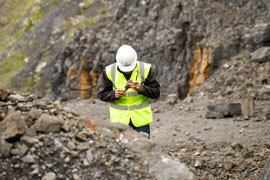 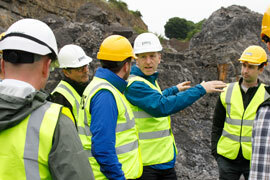 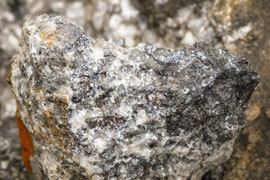 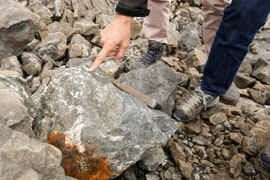 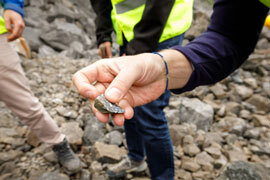 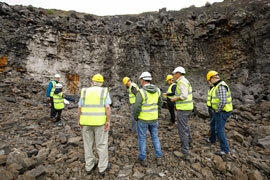 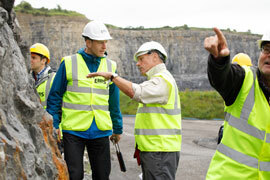 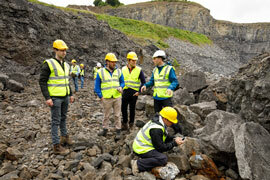 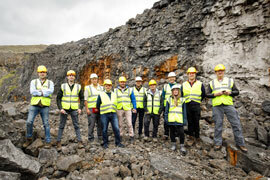 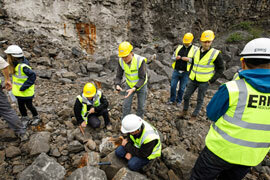 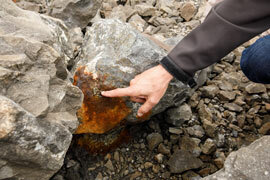 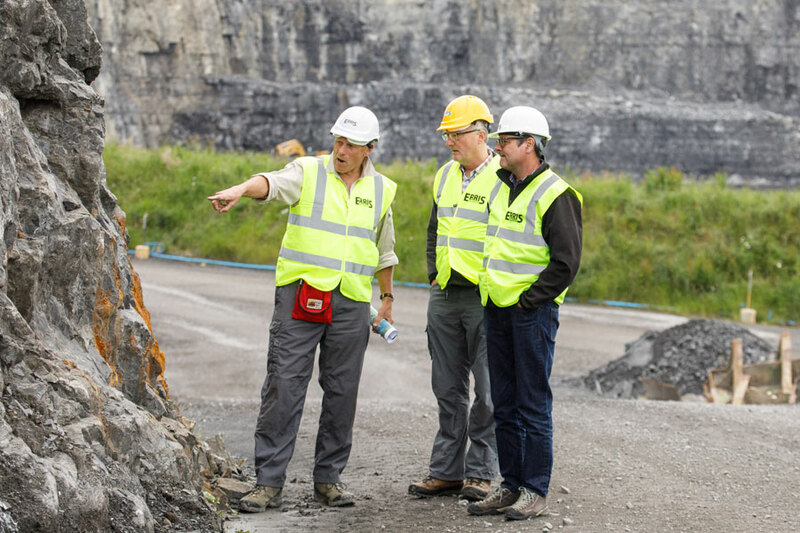 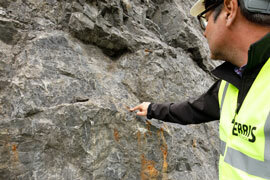 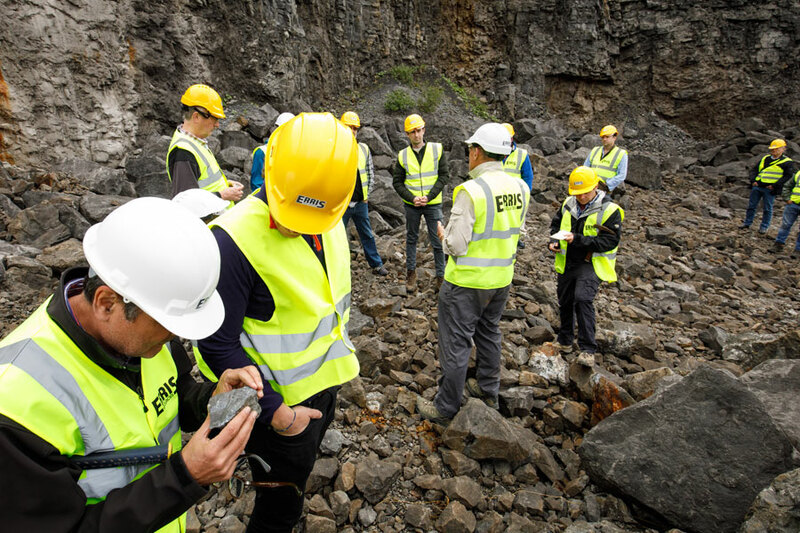 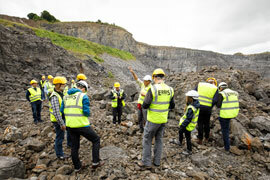 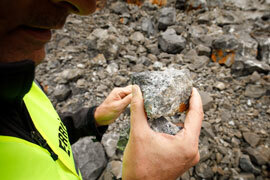 The zinc mineralisation is hosted in Carboniferous limestones, similar to the main zinc deposits across Ireland. 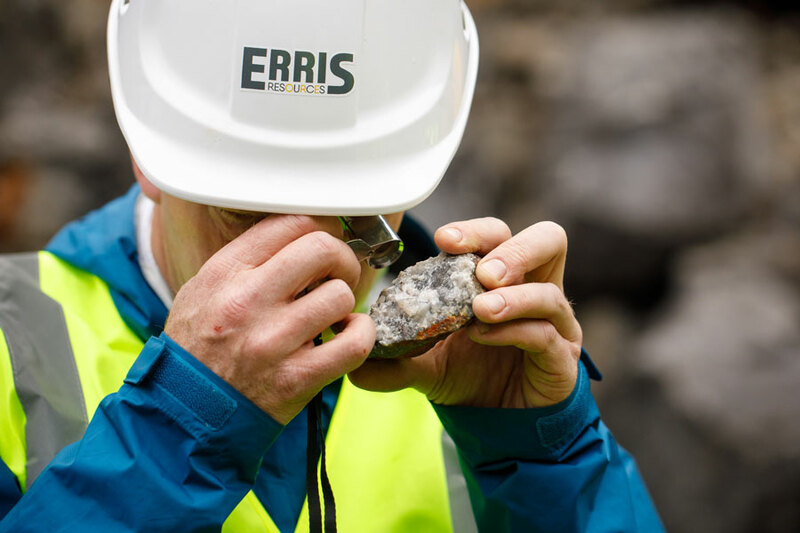 Basement rocks in the Abbeytown Project are shallow (approximately 200m depth in the East, to approximately 400m depth in the West) and the average of 16 samples from pillars in the historic Abbeytown underground mine returned a grade of 12% Zn+Pb. 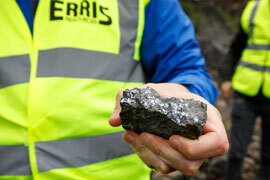 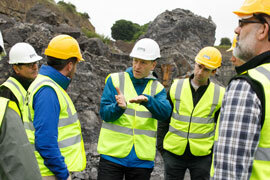 Erris Resources is aiming to identify economic resources at Abbeytown that will support a commercial operation. 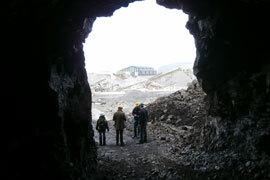 Abbeytown is a brownfields exploration project centred on an historic lead-silver mine. 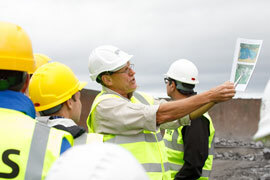 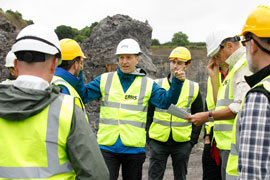 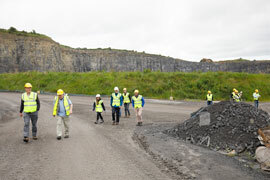 The old mine is itself situated within an active limestone quarry operated by the Harrington Group. 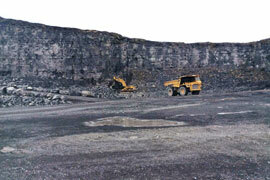 Ore was extracted over centuries before an industrial-scale lead mine was operated 1951-1961, initially as an open pit, and then as an underground mine. 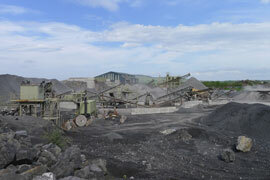 Abbeytown is in an industrial setting. 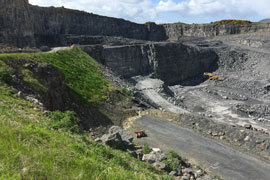 A fully permitted quarry is in operation, and industrial infrastructure is present. 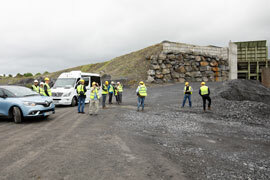 Road, power, rail and port are all available nearby. 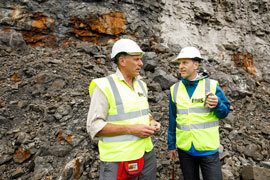 Abbeytown is a Carbonate Replacement Deposit, with structurally controlled replacement breccias and vertical as well as horizontal components to the ore distribution. 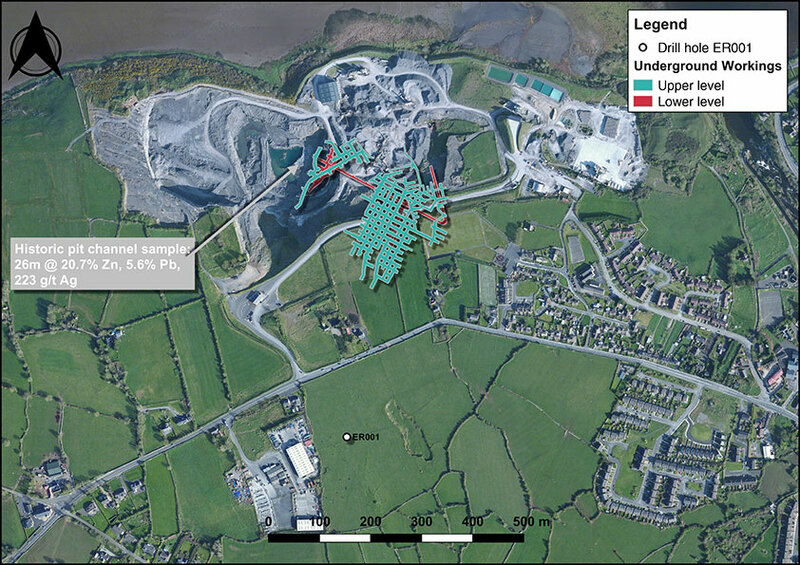 The Lugawarry prospect 3.8 km to the west-southwest of the Abbeytown prospect was also the site of old workings for lead and silver. 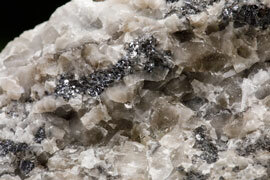 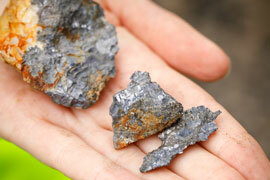 Mining is believed to have begun in the mid-18th century. 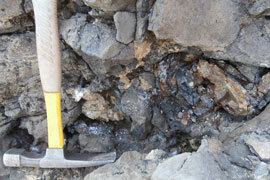 Intermittent drilling in the 1950s to 1970s was generally less than 100m depth and often the core was not assayed. 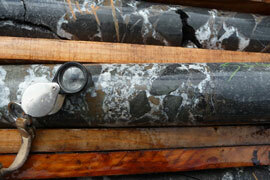 Archived drill logs record stringers of calcite with pyrite and dolomitised limestone, along with some sphalerite, galena and chalcopyrite. 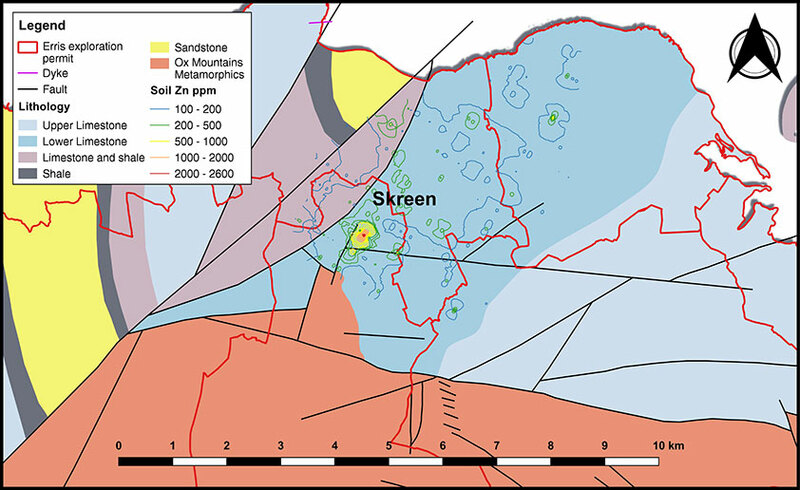 Skreen is a prospect 15km west of the Abbeytown prospect. 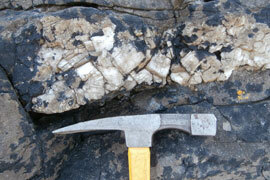 A large soil anomaly is located close to a junction of major regional geological structures. 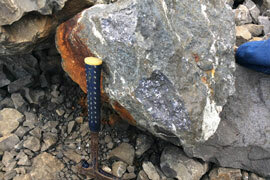 Several kilometres away from the main soil anomaly, outcrops containing pyrite, calcite, barite and sphalerite are visible on the shoreline. 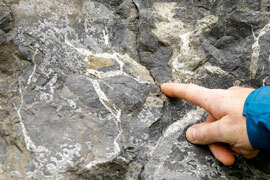 High grade sphalerite bleeder veins are visible.